If you don’t start planning for communicating post crisis today then you’re not going to know what to do when all hell breaks loose. 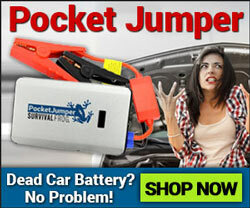 Imagine what would happen if that little cell phone in your pocket stopped working. Picture how terrifying it might be if the trusty phone you have mounted on the kitchen wall never worked again because things have completely melted down around you. THIS is why you need to think about effective forms of communication now. The following 9 suggestions are dependable ways to stay in contact with friends and loved ones. Bear in mind some of them require electricity, but the good news is they don’t rely on complicated phone networks provided by the phone and Internet companies. Meaning if society has gone to hell in a hand basket these will still work. Now I might have said phones won’t work. That’s not entirely true. A satellite phone (also referred to as a Sat phone) will work flawlessly in the event phone networks go down. This is because the Sat phone doesn’t ride on the same networks as normal phones. Instead it bounces a signal to a satellite which then connects to the device you intend to talk to. They are expensive, and you’ll probably only ever use it in two events (the total breakdown of society or when you’re out stranded in the wilderness) but it will be one of the best investments you ever make if you need to maintain phone contact with loved ones at any cost. *A Sat phone relies on the phone you’re trying to connect with having an active connection. I’m sure you’re quite familiar with the two-way radio or the “walkie-talkie.” The two-way radio is also another incredible means of maintaining verbal communication protocols with friends and family because it operates on a non-phone network. With a wide range of channels and a wide operating range you can use them to stay in touch with people who are up to 50 miles away (some have much longer ranges). 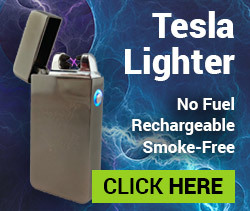 Because they’re inexpensive, have a long battery life, and are compact and easy to carry they make a great addition to a bug out bag or survival kit. One thing to note about using two-way radios is other people will likely be on the same channels you’re communicating on. This means it’ll be helpful to have some kind of codename for those you intend to contact so you can cut through the chatter and eliminate confusion. A ham radio isn’t quite as simple to use as a two-way radio. But they’re really awesome for disaster situations and that’s why the military as well as plenty of emergency response groups use them. Not to mention a scanner attached to your radio will help you stay abreast of what’s happening in your area. A ham radio requires a license, but they’re really easy to get. Once you get a license there’s a supportive community who can help guide you through the basic operation of the ham radio and will help you understand its robust survival use. CB radios are a commonly used radio. You can likely think of a few examples of people using them, truckers and hobbyists for example. CBs are a reasonable alternative for disaster communication. Their limitations are in that their effective range isn’t all that long. Anywhere from 1-10 miles based on the terrain you’re in. However if you’re going to use CB to communicate with family close by then it’s a great alternative to consider. The truth is if your phones don’t work and it’s difficult to move around in a crisis then a CB radio could be a very helpful alternative to consider. In a real SHTF fan scenario it might be next to impossible to communicate with others via electrically dependent mechanisms. That’s why flares are so helpful. Flares allow you to signal to people from miles around that you’re in trouble. A flare is a universal sign of distress so if you send a flare into the sky and there are people around then they can help render aid. There are also hand-held flares which you can use to communicate but won’t necessarily draw too much attention to you. Though you might not guess this smoke is one of the more effective means of survival communication you can find. Once you’ve done that it’s time to send the signals. To send your message, wet a blanket to keep it from burning and throw it over your smoking fire. Once the trail of upward smoke has ceased, pull the blanket off to send a white puff skyward, and then put the blanket back on. This will send a one puff message. What message it conveys is up to you and your recipient. You can repeat this action to create a two puff and three puff message. One puff — Sending a single plume of smoke would commonly be an attention signal. This meant that something unusual was going on, but there’s no cause for alarm or imminent danger. It was commonly a sign to watch for further signals. Two puffs — A two puff signal meant that all was well and that camp was established and safe. It indicated that they would stay at their current location until further notice. If the camp was more permanent, a continual two puff message was sent to let neighboring bands know that permanent camp was near and safe. It was an important message, as Native American tribes often moved camp according to the seasons, the availability of resources and for safety. Three puffs — This was an alarm signal, just as it is with Boy Scouts today. Indians warned of approaching enemies or marked the beginning of a battle with this signal. Continuous single columns of smoke indicated greater danger and a call for help. Mirrors are also another disaster proof means of survival communication. Again you’re going to want to have pre-established messages created so when you’re communicating with those you know they’re able to decipher your message. If you’re just trying to send a distress message it’s important you know SOS and that you know the best place to use your mirror; i.e. use it from a point of elevation or shine it up at a passing plane. Mirrors are compact, inexpensive and will work as long as there’s sun. If you don’t have a mirror a CD will do too. You know that sidewalk chalk you bought for your kids? That stuff is an incredible survival tool. For one thing it’s easily washed off. You can write a coded message to friends and family and they can rub it or wash it off with ease. Another reason it’s great is you can use it to create large distress calls. With a bit of chalk you can write a giant 100 foot HELP sign that’s easily viewed from high above. It’s also lightweight, needs no batteries, and has a super-long shelf life. It can also be color coded so certain colors of chalk are used for different purposes, purposes only you and a select group of individuals know. All of these suggested means of survival communication are utterly useless if you don’t first have a plan of action in place beforehand. Talk to those you love about how you would communicate with them if all the normal means of communication are gone. Plan escape routes, meeting points, and what you can do to ensure all of you are united together in the event of a disaster. If you’re really interested in doing all you can to guarantee you can continue communicating after a disaster then a two-way radio set might be one of your best bets. 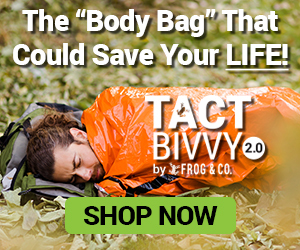 Inexpensive and proven in disasters they could easily help save your life. 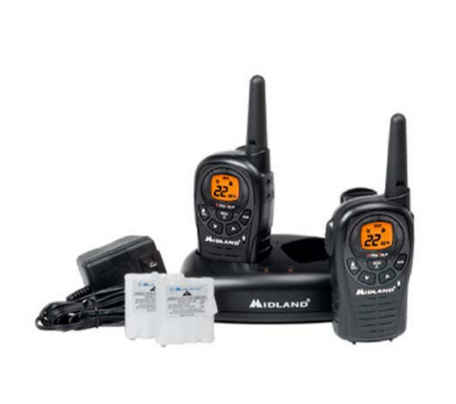 Click here or on the picture below to take a look at one of our top-selling radio sets. This entry was posted in Uncategorized and tagged communication, DIY Survival, survival tips on October 31, 2015 by Survival Frog. A satellite phone is probably your best option available when it comes to emergency communication. Obviously it might not be the most available but having a satellite phone on hand is a good way to stay prepared.